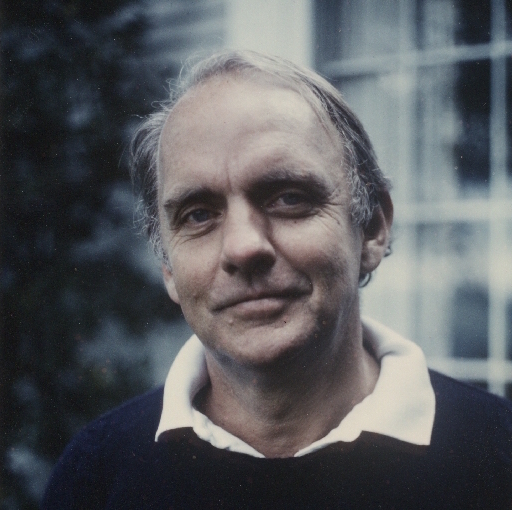 "A child takes life as it comes because he has no other way of taking it," Frederick Buechner writes in this first of his autobiographical books. With this statement he attempts to explore the event that is at the center of this book, and which forms the (missing) center around which so much of Buechner's fiction and essays take shape: the suicide of his father when he was 10 and his brother 8. 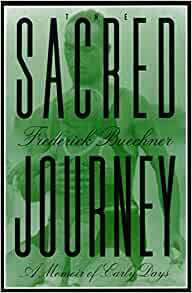 The Sacred Journey is memoir, poetry and philosophy in one slim novel and I loved it! Buechner's book is messy- somewhat disjointed feeling, and yet beautiful and touching. The seeming unorganized stories come together much like real life does... where big moments hardly matter and the small, seemingly unimportant, conversations can change everything. Buechner tries, and I think succeeds, in using his own life (filled with very real pain- like his Father's suicide) to show the humanity and great journey we all have in common. His spirituality is not overbearing, it is honest and real, while at the same time rooted and sound. I found myself extremely encouraged in my own journey of faith because of this book. At first, I was a little put off by his over-thought and extreme poetic style of writing. I felt like he was wasting words and beating around the bush until, almost as if he read my thoughts he says "...I started to sense that words not only convey something, but are something; that words have color, depth, texture of their own, and the power to evoke vastly more than they mean; that words can be used not merely to make things clear, make things vivid, make things interesting and whatever else, but to make things happen inside the one who reads them or hears them." (P. 68) and then it sort of clicked for me. This memoir isn't simply a retelling of his major life moments, it is actually an attempt to explain and paint humanity and the vast array of feelings and emotions that entails. After reading that quote, I sort of relaxed and sat back to enjoy the ride and let the book just take me wherever he was going. Adding these quotes to my review do not spoil this book, as I could never convey the art that is found here by chopping out little portions, and I could copy down a number of other amazing paragraphs, but I will leave that up to the individual to read- or borrow my underlined copy, but I do want to end with the message that Buechner himself ended with. After becoming a Christian and later deciding to attend seminary he says: "It was a long way to go, and there is no question but that there is a vastly longer way to go still, for all of us, before we are done. And the way we have to go is full of perils, both from without and from within, and who can say for sure what we will find at the end of our journeys, or if, when that time comes, it will prove to be anything more than such a beautiful dream... Faith. Hope. Love-- As words so worn out, but as realities so rich. Our going-away presents from beyond time to carry with us through time to lighten our step as we go. And part at least of the wisdom of the third one [Love] is... `Never question the truth of what you fail to understand, for the world is filled with wonders.' Above all, never question the truth beyond all understanding and surpassing all other wonders. That in the long run nothing, not even the world, not even ourselves, can separate us forever from that last and deepest love that glimmers in our dusk like a pearl, like a face. " (P. 112) So well said, and more importantly, so true! Buechner basically promises that becoming a Christian is not the end of your journey, nor is it the beginning; it is just part of the whole of what God is doing in your life and in the lives of others. We aren't done ye and this side of heaven, we never will be. Beautiful. Frederick Buechner writes so beautifully. Sacred Journey is the beginning of a man's journey to make sense of who he is in the world. I am almost finished with Now and Then, the next installment. He doesn't tell us what happened but the effect the events of his life had on him and the importance of always looking at our life reflectively. An invitation to reflect on the circumstances that cause us to really "begin" our life and the journey toward self awareness. Sad, humorous, seeking and facing fear - this is a thoughtful, charming and encouraging book that says, "You'll make it! Keep moving forward. " Reflections,questions to ask yourself & prayer at the end of each chapter. Buechner was a great guy and a smart thinker and he wrote an excellent book with insightful observations and clever witticisms. 5.0 out of 5 starsNice clean copy. Shipping was a bit slow, but I think that is only because I am so used to 2 day shipping from Amazon. The book arrived in good shape and I am enjoying it. It was referenced in "Wild at Heart". I read another book by Buechner and enjoyed it. Great book. This book gives you time to reflect back on your own life.